For anyone growing up in places like the upper Midwest, especially in Detroit, Lightfoot had a constant presence on AM radio and then as it developed, the FM band. This was especially true in the 60s and 70s when Detroit had a radio station across the river in Windsor, Ontario, CKLW, that was the most popular station in the market. A 50,000-watt flamethrower with a clear channel frequency 800, CKLW dominated the airwave and during evening hours, it was not uncommon for the signal to be heard as far south as northern Florida. While listening to CKLW, which was licensed by the Canadian government, the station complied with a content rule that suggested about 30-percent of the playlist should be Canadian artist. 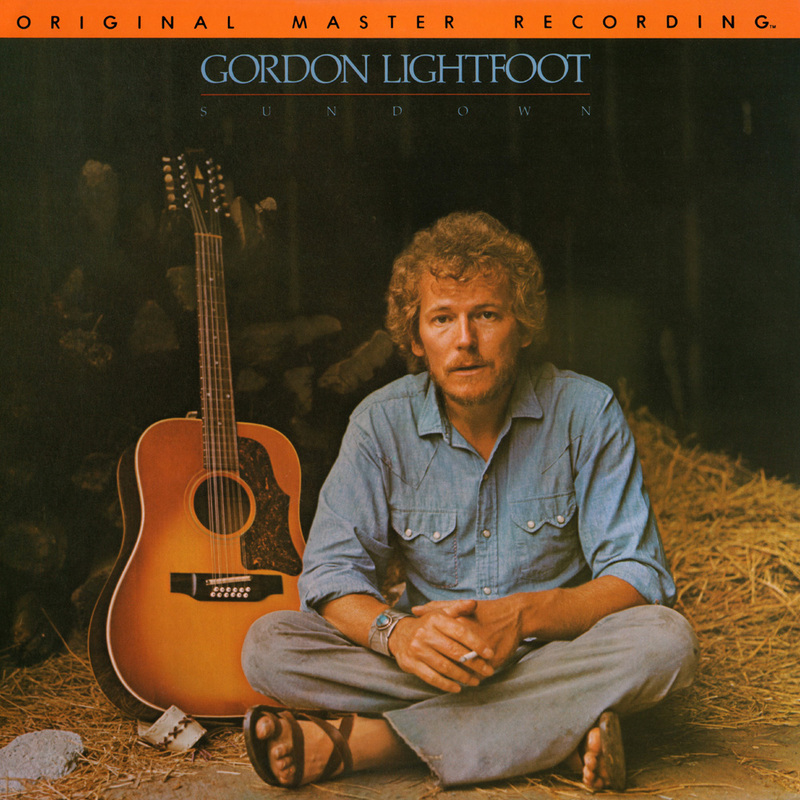 Cover of Lightfoot's 1974 album Sundown. As a result musician like The Guess Who, Lightfoot, Joni Mitchell, Neal Young, Bachman Turner Overdrive were put into heavy rotation by the early 70s. This was just about the same time Lightfoot was hitting his stride. In 1971 Lightfoot's If You Could Read My Mind was nominated for a Grammy in the best male pop category. Lightfoot was invited to sing his song but he declined when show producers insisted he shortened it to two and half minutes. Many people are undoubtedly familiar with other Lightfoot hits like The Wreck of the Edmund Fitzgerald, Carefree Highway, Sundown, and Rainy Day People. His extensive catalog goes well beyond those familiar hits. Consider the song Lightfoot wrote very early in his career, Early Morning Rain. The song is considered one of the greatest folk songs and it was a hit for Peter, Paul, and Mary and has been covered by musicians ranging from Bob Dylan to Elvis Presley. When I saw Lightfoot several years ago in Reno, prior to performing the song, he recounted in good cheer how Elvis changed one or two words and took co-writing credit. During that same Reno concert, Lightfoot told the story of how he changed one word in his mega-hit If You Could Read My Mind, at the behest of his daughter Ingrid. That song was written as Lightfoot's first marriage collapsed. The original line reads: "I'm just trying to understand the feelings that you lack." It was changed to "I'm just trying to understand the feelings that we lack." Anyone who has gone through a broken relationship can understand the primal emotion of the lyrics, but when children are involved we all need to be conscious of their needs as well. Other songs that deserve a listen a bit deeper in Lightfoot's catalog include Somewhere USA, Circle of Steel, which is a Christmas song with a conscience that was released years before Feed the World appeared, Black Day in July, which was about the devastating 1967 riots in Detroit and was banned from most stations' playlist, Summerside of Life, Song For a Winters Night, The Circle is Small, The Minstrel of the Dawn, and of course Old Dan's Records. One of the songs that I rediscovered in the last few years is a tune called The Watchman's Gone. This is what could be called a metaphorical song that takes on more meaning as one grows older and if you read the lyrics as the song plays you might relate. 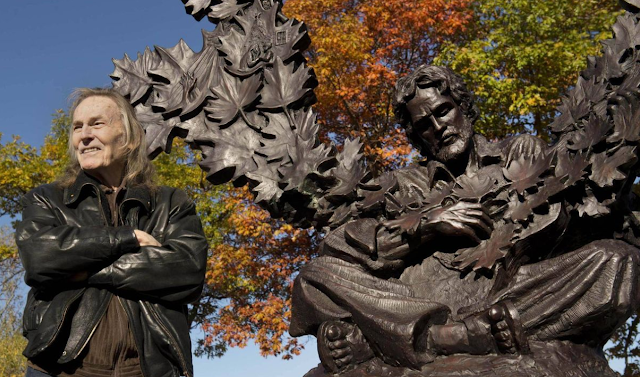 Happy Birthday Gordon Lightfoot and thank you for your legacy. No Comment to " Canada's Treasure: Happy 80th Birthday Gordon Lightfoot "